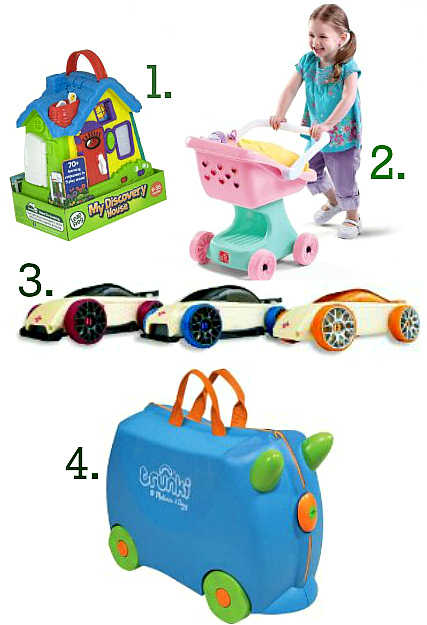 Our holiday gift guide for kids is based on one thing, my children and how much they play with these toys. Here are my suggestions based only on how much my kids play with them not on any sponsorship or relationship with the company. There are no paid spots on our list although the links are affiliate ones. 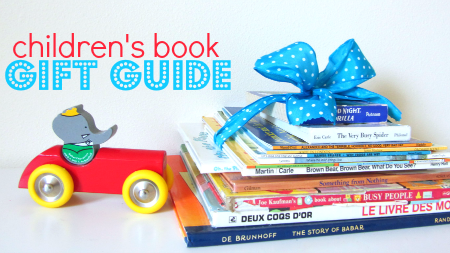 This might not be the flashiest guide but you can trust that my kids have gotten many many hours of fantastic play and I feel like I have gotten my money’s worth out of each selection.Don’t miss our Book Gift Guide either. 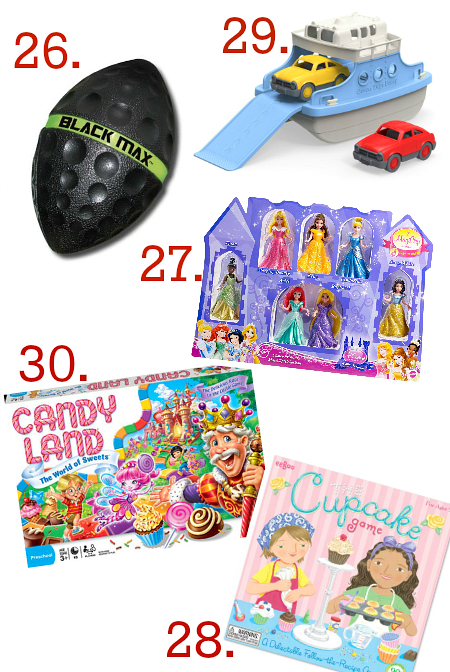 This gift guide contains affiliate links. 1.LeapFrog My Discovery House was immediately bought after I handed it to my daughter in Walmart while shopping for craft supplies. She was 18 months old and it kept her busy for an HOUR . Yes I said and HOUR. It’s perfect for 12-24 months and even my son liked finding out what each of the many buttons did. 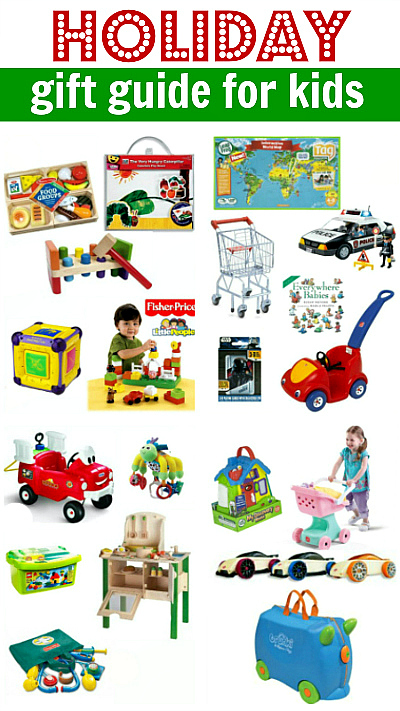 Unlike so many busy toys this one is fun to interact with and what toddler doesn’t love turning lights on and off? This toy will fulfill that need without you finding your little one dragging a chair over to the wall switch. 2.Step2 Little Helpers Doll Stroller was another great purchase last year. At 18 months my daughter wasn’t too into this buggy but now at almost 2 and a half she plays with it all.the.time. I love that it’s sturdy but not heavy and I can’t think of any time that she or her brother has flipped or crashed it , it’s very stable. I also really appreciate that there are no folding parts that can lead to pinched fingers. 3.Manhattan Toy Mini’s 3-Pack C9R Red/Black, C9-S Orange, S9-R Blue there were actually bought years ago and ended up packed away when we moved and I just found them in our storage room and brought them out. Both the kids have been playing with them non stop . The cars are such good quality and really fun to mix and match with. I’ve already ordered more for under the tree this year. 4.Melissa & Doug Trunkis have been such an important part of our family travel since receiving them in the spring. As you may know I work with Melissa and Doug but the Trunki’s were bought with my personal toy allowance and I am not getting paid to mention them here. I am mentioning them because my kids LOVE them. My kids have named them , ride them around the house and love the locks that protect their stuff. My favorite thing about them is that they get the kids excited about packing, which is great because that is not something I love doing. They are surprisingly roomy too. 5. LeapFrog Tag Maps: World . This map is amazing we all had fun finding places and of course trying to beat each other at the Map Racer game. I think my husband and I had as much fun playing with it after my son went to bed as he did. My son isn’t a huge fan of Tag books but he loves the maps there is also a USA one although I am partial to this one that lets him explore the whole world! Police Car gets the most action. 7. 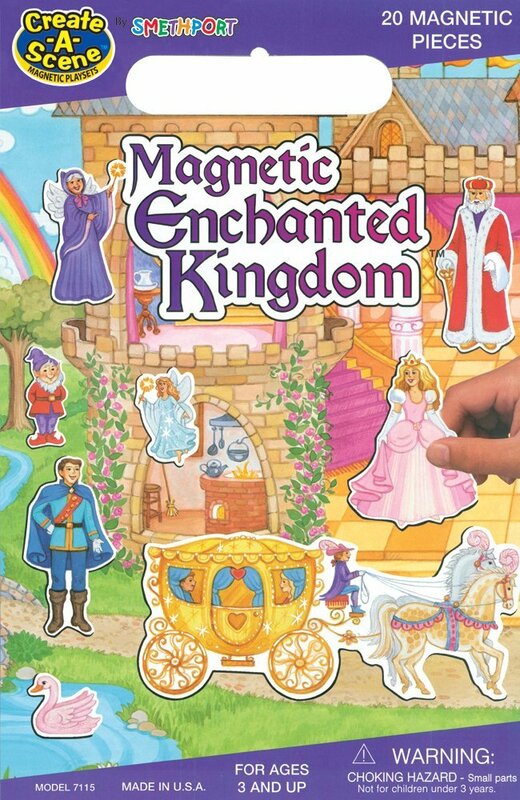 For my daughter nothing beat out this book Everywhere Babies . She got it for her 1st birthday in June and we have read it probably 10 times a day since. I am ready for a new book for her to love but she is still happily reading this one over and over again. You can read my rave review here. 8. These Star Wars Lenticular Playing Cards got used daily. My son ( and the rest of the family) loves to play Go Fish and beats pretty much everyone every time. We think he is using “The Force” to pick the matching cards from the pond. Card games are great ways to work on memory, math and logical thinking skills. It may also encourage a little trash talking if you have competitive people in your house. Still nothing beats turning off all electronic entertainment and playing a game as a family. 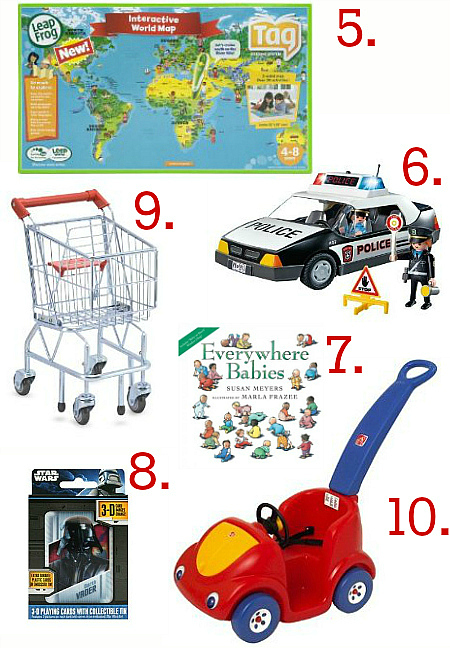 9.Another of my daughter’s favorites is this Melissa & Doug Shopping Cart . We use it to play grocery store but she also just pushes her baby around in it happily putting whatever she finds in the basket. One feature I absolutely love about this cart is that if perhaps a 4 year old gets in the basket there are breaks that push down and the cart won’t budge. 10. Step2 Push Around Buggy – we call this the “Beep Beep” and my daughter took to it like a future Danica Patrick! She loves this thing and it’s surprising how well it pushes not just on grass or pavement but I can even drive it over our gravel driveway. I like how I can pop her in it while picking apples in our front yard , she loves sitting in it and I know she is safe. 11. Little Tikes Spray and Rescue Fire Truck This fire truck has been a huge hit at our house. We bought it for my son as a “Big Brother” gift and it kept him happy and busy while I attended to his newborn sister in the warm days of summer. We worried that it would maybe be too young for him but he happily drove it all over the patio, spraying pretend fires all summer. 12. LEGO Duplo My son got Duplo for Christmas 2009 and it’s been played with daily since. 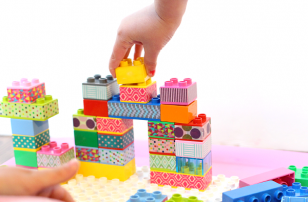 When we were little duplo was a “baby toy” but now with the different sets they have it really does extend past toddlerhood and if like us you have a younger child that you are uncomfortable having little classic Lego around these are a great choice. 13. Fisher-Price Medical Kit How many of us had this as a kid? Mine was in a little beige briefcase. My son came to me to every single OB appointment during my pregnancy and this kit got used almost every time we got home as he played doctor. Now my daughter pretends she is Doc McStuffins and gives check ups to her toys daily. I love the practicality of making children familiar with medical appointments and of course the promotion of pretend play. 14. Lamaze Buzz the Bug Play & Grow When my baby girl is 4 months she was nuts for this toy. It has a multitude of textures, sounds ( she loves the crinkle sound), and hard rings to grasp and bite! It has a hook to attach to straps and I appreciate that it’s big enough to attach to a carrier or stroller too. 15. Educo My Creative Cookery Club I love this kitchen, and so do my kids. It’s not too big, but it has all the essentials for a play kitchen , oven, sink and burners. It also comes with utensils , pots an everyone’s favorites , the salt and pepper shakers. I love that it uses gender neutral colors and it was a cinch to put together even late on Christmas Eve! 16. 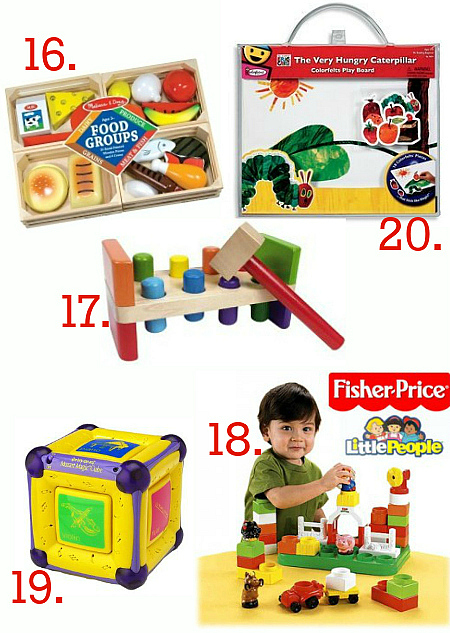 Melissa & Doug Food Groups This food set is a perfect match for the kitchen but even if you don’t have a play kitchen , learning about the food groups is essential when you are teaching about nutrition. We use these to play grocery store, restaurant and my son’s favorite “Starbucks” . We have had these for a year and they are sturdy and although the age range is 3 and up, there are no small parts and great for a family with a range of ages. Also the crates the food comes in have been a huge hit here as well, they get used with blocks to make cities and ferry boats. 17.Hammer Bench My son is lucky in that many of his toys were “tested” by students in my classrooms for years before he was born. I knew which were hits and which were duds . 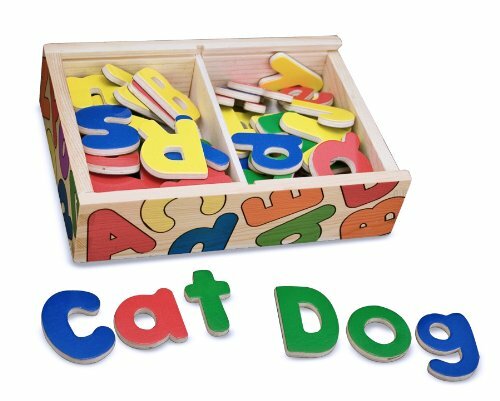 I’ll be out of luck when he goes to school but this toy was a huge hit in my classroom of 2-3 year olds a few years ago and has been a favorite of my son’s since he was 1 ! A great , colorful option for toddlers. 18. Fisher-Price Little People Build ‘n Fun Farm I have a soft spot for Little People, I think that they promote imaginative play, heck I remember the elaborate stories I made up in my bedroom with my Little People. I chose this toy though because it comes with interlocking blocks and a base to build on. These blocks are easier to click together and take apart than Duplo ( which I love for preschoolers) so they are perfect for young toddlers. My son has been playing with these happily for over 2 years. 19. Munchkin Mozart Magic Cube Like the hammer bench this was a toy I saw tested by many children when I worked as a director of a childcare center. The babies loved this and so did both my kids . They both played with this as an infant more than anything else, well about as much as he played with Sophie( see below). 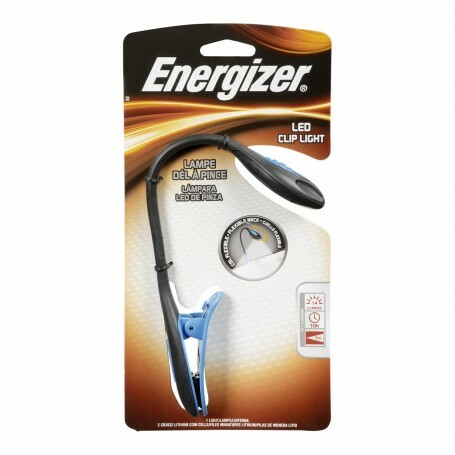 It lights up and plays individual instruments when the side buttons are pushed as well as all together. It’s not obnoxious and the music is really pretty so even when you hear it 3 or 500 times a day it won’t make you want to throw it into your neighbors back yard. 20. Colorfelts Play Boards – The Very Hungry Caterpillar I love books and this is my favorite and this felt board has been the perfect companion for the story. 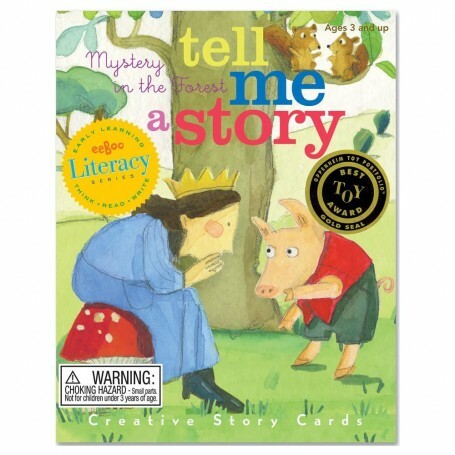 We used to read the book and play along with the felt , but now that my son is older and knows the story as well as I do we simply act out the book on the board. It’s a fantastic , easy , unplugged toy! 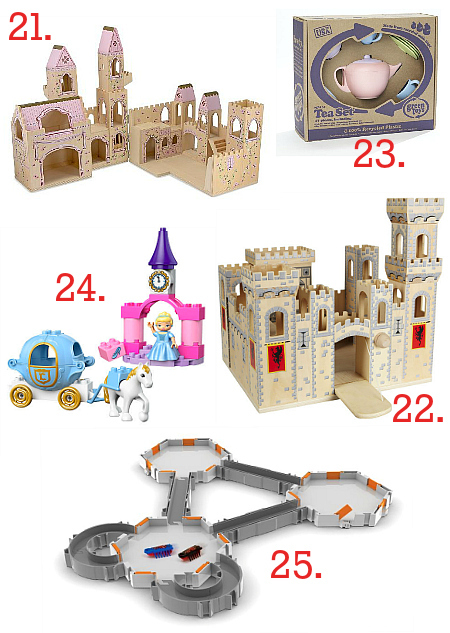 22.Melissa & Doug Deluxe Folding Medieval Castle First of all let me say that I write for Melissa and Doug but these castles were purchased with store credit that is part of my compensation package. I chose these and I wasn’t asked to review them or ever mention them in any way. I am telling you about them because my kids LOVE these castles. They both play with them almost daily. My son makes elaborate set ups with Playmobil Knights and my daughter uses hers with Little People Disney Princesses I love watching them use their imaginations soar. 23.Green Toys Tea Set We have had many many tea parties this past year and I don’t imagine 2014 will be all that different. Love this set and how I don’t mind my kids really drinking from the cups. 24. LEGO DUPLO Disney Princess Cinderella’s Carriage I swore I would never buy girl versions of things. Funny how kids have a way of making you eat your words. My daughter loves to build and she loves to build with her favorite princesses. There will be more bought this Christmas, she loves it. 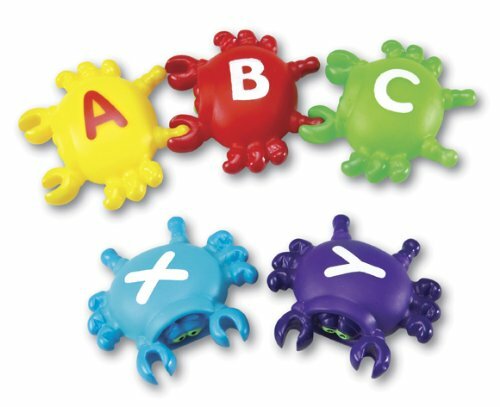 25.Hexbug Nano Habitat Set Hex bugs are so much fun! We like to add on to this habitat set with mazes built with Duplo and have races with two Hex Bugs. I like how my kids get excited about thinking up new ways to put this habitat together. Creative thinking is never a bad thing. 26. Diggin Black Max Football has been a must have item at our house all Fall. My son loves playing pass and touch football with this ball and I love that when it has hit our windows nothing has shattered! The football is soft but throws really well. It’s also pretty inexpensive. 27.Disney Princess Magiclip Dolls go everywhere with us. When my daughter was dragged to her brother’s soccer games these are the toys she took to keep her occupied. They are great for taking on planes and even for some STEM ( here is the proof ). 28. eeboo The Cupcake Game is a baking themed game where players are trying to gather all the ingredients required for making their specific flavor of cupcake. I adore this game because it”™s so pretty! What I like about this one is that all the pieces aren”™t identical and it requires that children think about which pieces fit! The box says ages 5+ but my daughter played this easily at 3. 29. 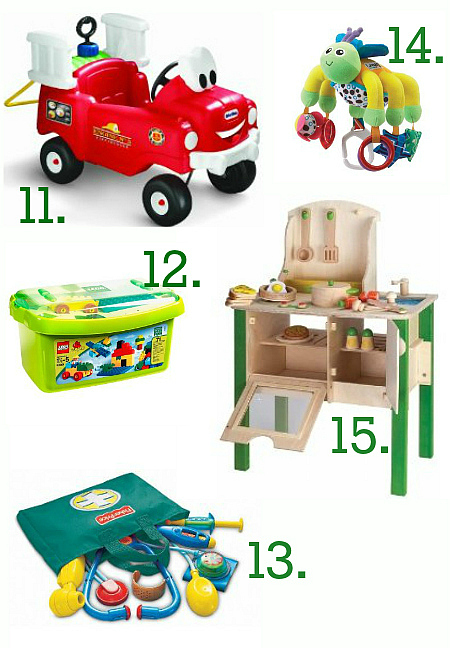 Green Toys Ferry Boat think that your kids are too old for bath toys? Both my kids still love this ferry boat from Green Toys. They both play with it and when they aren’t playing with it it’s covering the stain on the bathroom counter and making the room look cute! Gotta love toys that can become decor when need be. 30. 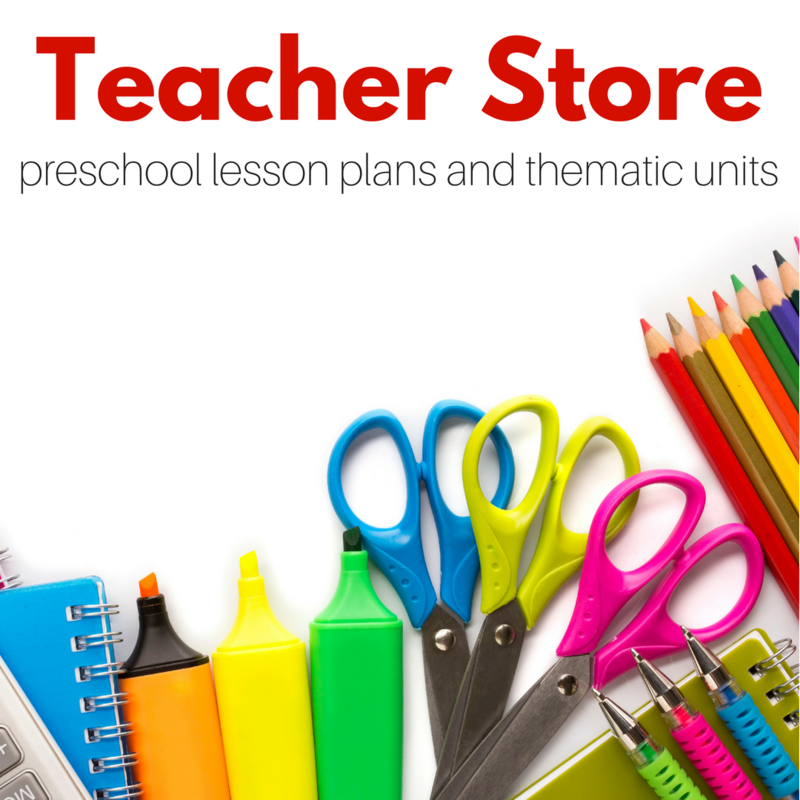 Candy Land is the perfect preschool game. It teaches color recognition but my favorite thing about it is that it helps teach children that there are blocks in the road sometimes. When a player is sent back that gives you and your child a great ( and not really painful) way to address being disappointed. I know it sounds funny to hear someone say ” Practice losing” but this game is a kind way to work on that. I also like to switch up the language used for the colors calling out ” Rojo” or ” Jaune” etc”¦ to mix it up! If you are like me you shy away from toys with too many lights or sounds and really if you could you’d give books as gifts for almost every occasion. The problem is what book do you choose? We have compiled a list of our favorite picture books and early chapter books for children by personality type . There are no reviews on this page, however each of these has been reviewed. Check out full reviews by theme on our Book Page. All book lists include affiliate links to Amazon.com . Stocking Stuffers That Promote Literacy! I love learning. I love teaching too but really that moment when a child has grasped a concept or mastered a new skill for the first time and they exclaim ” I did it!” is what keeps me planning lessons for my classroom and this blog. I hope that some of the activities I have shared have contributed to an ” I did it!” moment at your house. Part of supporting our children’s development is to provide the right environment and what better way to add bits and pieces of learning into their environment than with stocking stuffers. I fill my children’s stockings with a random assortment of things but I always squeak in some learning even if they just see the items as fun and new! This list of stocking stuffers for kids are all fun and promote literacy development. 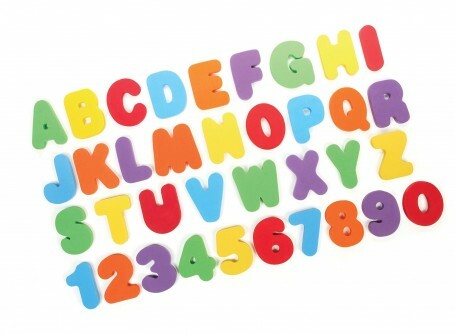 We used these Little Tikes Bath Letters and Numbers in the bath but we also used them around the house for letter hunts! All kids should have some Melissa & Doug Magnetic Wooden Alphabet they are great for all levels of learning from the earliest stages of letter recognition to spelling! This LeapFrog Fridge Phonics Magnetic Letter Set is one of many Leap Frog phonics toys that I love. 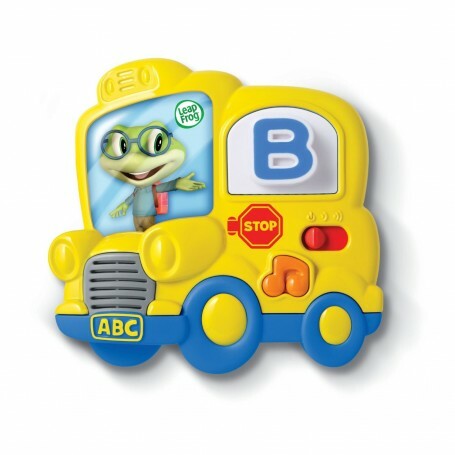 Nursery rhymes are wonderful literacy tools but if you are like me you forget to grab books of them, Wee Sing Nursery Rhymes and Lullabies is perfect for car rides. Frankly I think I just need a break from listening to Frozen. I know I am not alone. 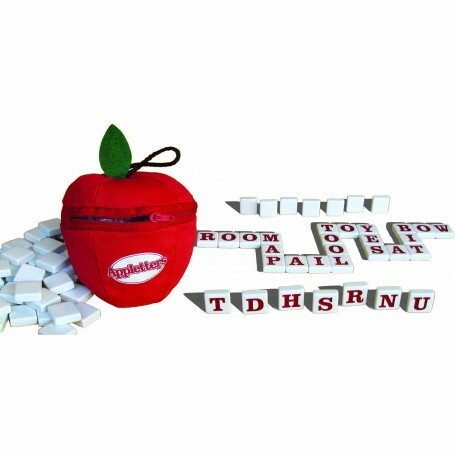 This Hangman – Take ‘N’ Play Anywhere Game will fit into a purse well for road trips as well as a stocking! Hangman is a great vocabulary boosting game that sharpens spelling skills too. Did you know there are Super Silly Mad Libs Junior ? These are great for Kindergarten and up ( or a little younger with more help) while Christmas Fun Mad Libs makes the perfect stocking stuffer for those a little older. My kids get these in their stockings every year. 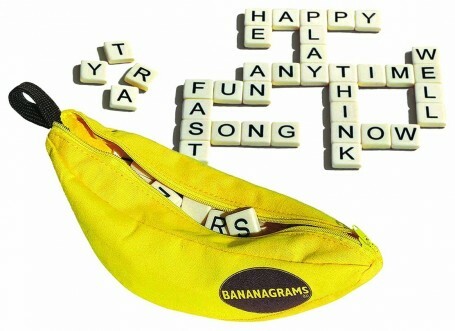 Have you ever played Bananagrams ? It’s a blast and perfect for kids from 6 or 7 and up. Pop it in their stocking and play all Christmas day! 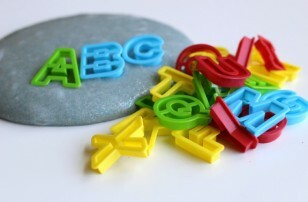 For families with younger kiddos try Appletters but don’t worry older kids will still love it! 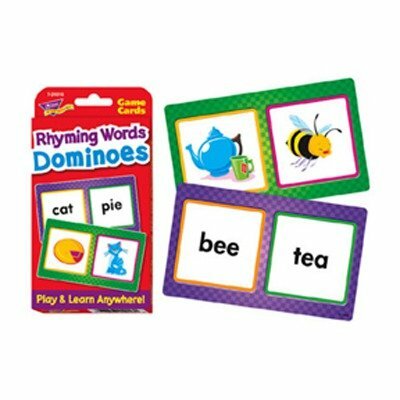 These Rhyming Words Dominoes Challenge Cards® are great for multiple ages. Older players can model the rhyming while younger children can feel great about making their matches! 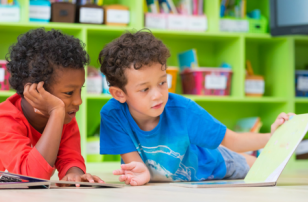 Storytelling is a skill that will help your child understand all the elements of literature as well as work on vocabulary and my favorite thing, engage their imaginations! Rory’s Story Cubes is a great stocking stuffer! 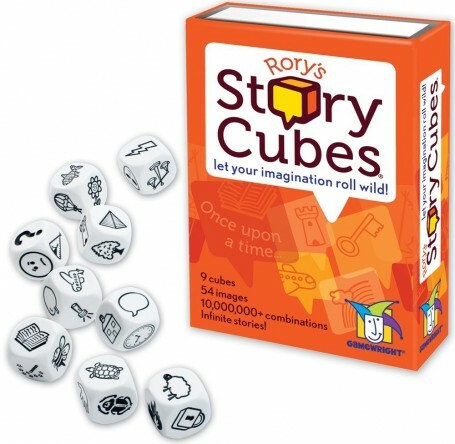 Take storytelling with you ( maybe to visit Grandma for New Years?) with this Create A Scene Magnetic Enchanted Kingdom ! 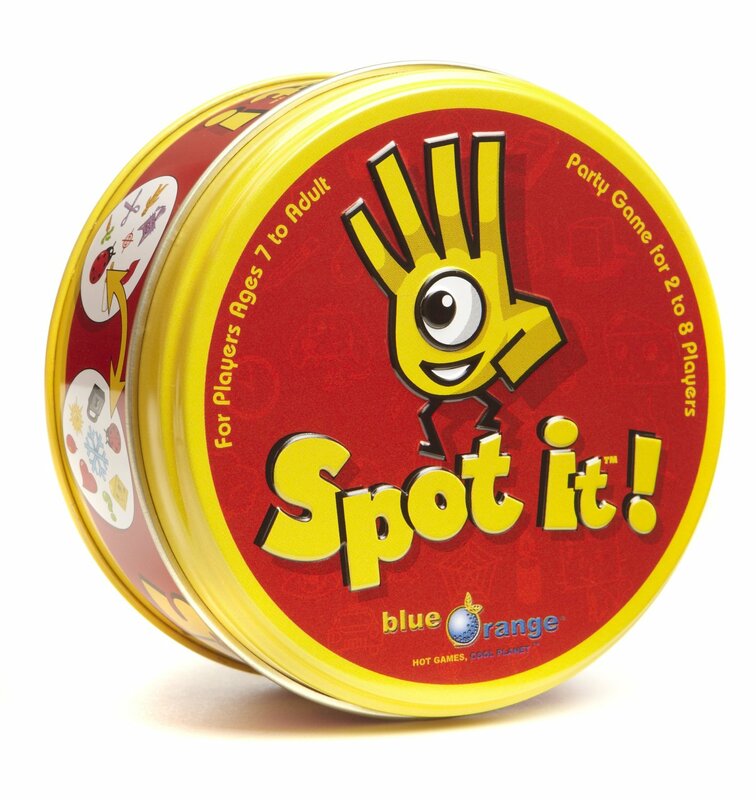 Spot It is a great game for waiting at restaurants, on planes, or even around the dining room table. It focuses on visual perception which is important for reading, but don’t worry pre-readers can play no problem. Learning to write starts with making marks and coloring is a great way to prep for writing. 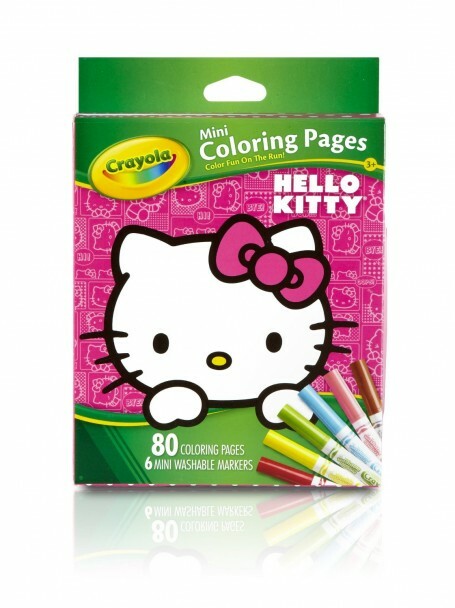 This Crayola Hello Kitty Mini Coloring Pages will slide right into a stocking! 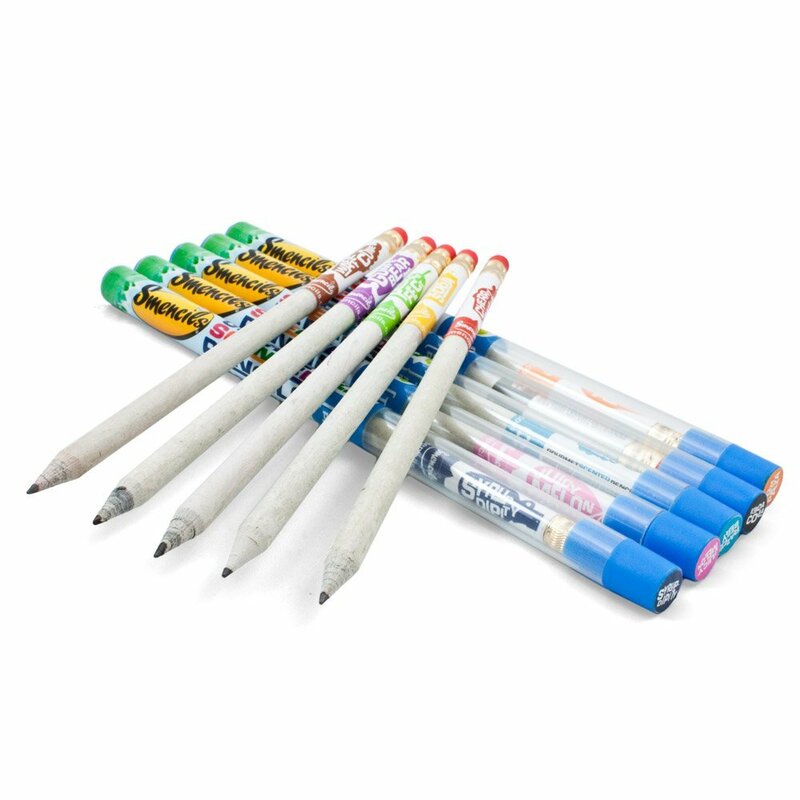 Make writing fun with these smelly pencils Original Smencils 5-Pack or if your child is all about glam try these Fiskars Gel Pens . Journals are wonderful ways to get your not too keen to write kids writing. 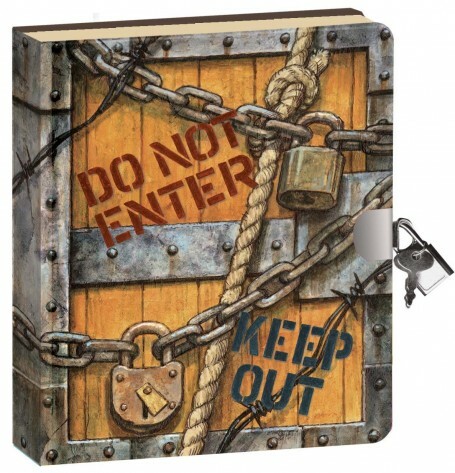 I like this Q&A a Day for Kids: A Three-Year Journal because it has prompts built right in! 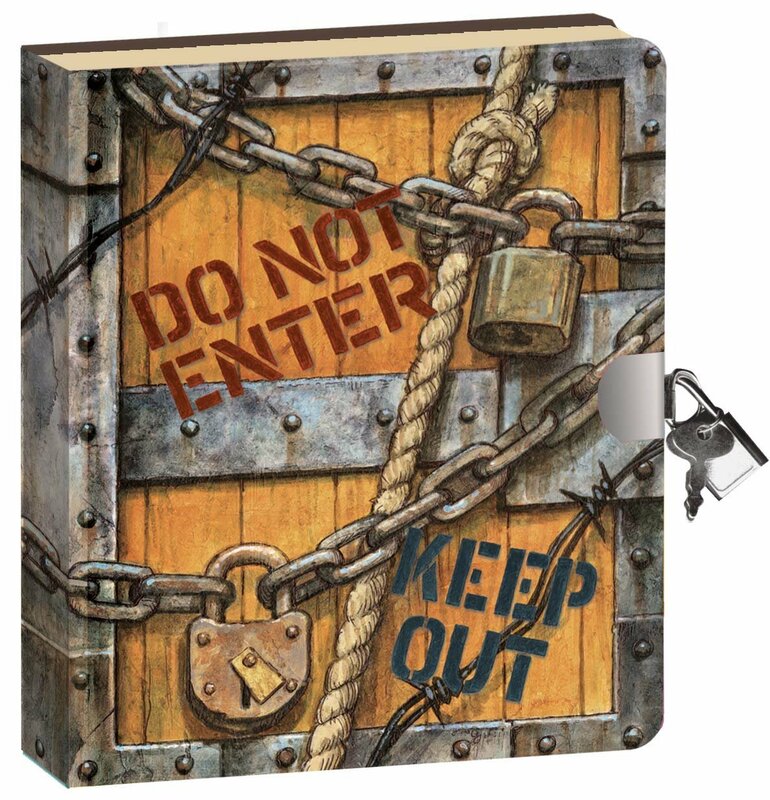 If your child doesn’t need prompts but wants privacy pop one of these Top Secret Lock & Key Diary into their stocking. This book is brilliant. Bookworm Journal: A Reading Log for Kids (and Their Parents) lets kids record the books they’ve read in one place. This is wonderful for kids who like to rank, rate, and compete with everything. Toss some Robots i-Clips Magnetic Bookmarks into the stocking and your kids won’t be able to wait to use them. 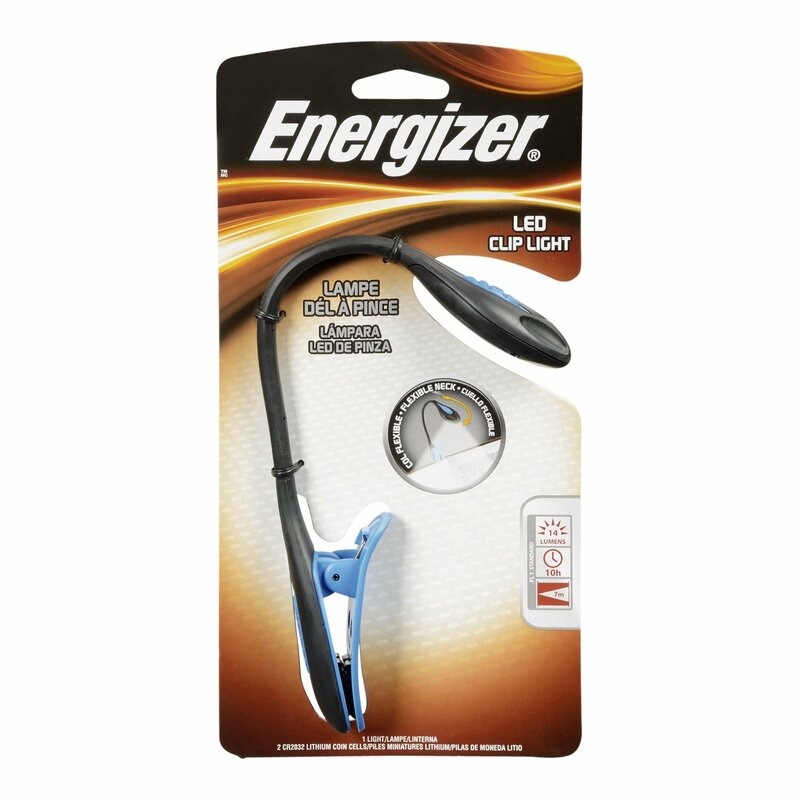 A book light like this Energizer LED Book Light is perfect for independent readers. Letting kids stay up a little later to read is a great message to them that reading is worthwhile. You might be wondering why I don’t have any books. The list would be very very long and instead of you picking out a book for your child why not pop a $10 Amazon Gift Card or one for a local bookstore and take them to pick out their own. If that doesn’t promote reading I don’t know what will!